The Automatic Climate Control system is the most advanced of all the air conditioning systems in cars. It effectively controls the cabin temperature and humidity levels. In Climate Control, you can set the cabin temperature of your choice. However, the system controls it regardless of the outside air temperature and humidity. Some advanced systems offer Dual-zone climate control with automatic re-circulation mode. 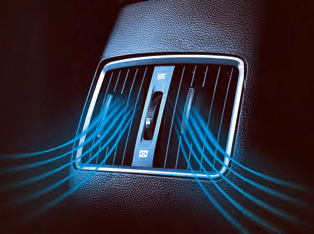 The automatic climate control system provides an individual feel-good climate for the occupants. It automatically controls the temperature, air-flow and air distribution inside the cabin. The climate control system also controls the fan speed and air circulation. In some cases, the automatic climate control system provides electronic regulation of the air temperature, air flow rate, and air distribution. Some systems provide the defroster nozzles for the windscreen and side windows to eliminate the fogging effect. 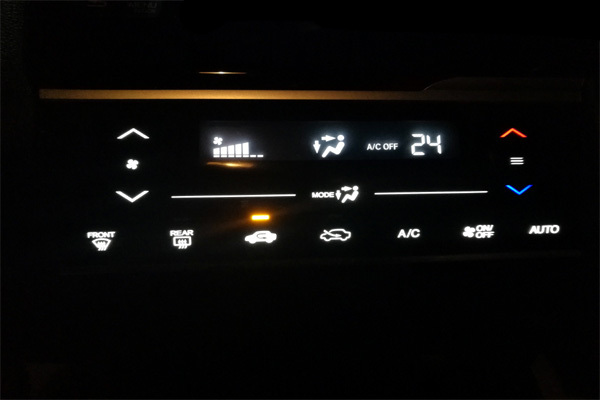 Nowadays, budget cars also offer an Automatic Air-Conditioner (a step-down version of Automatic Climate Control) with touch screen panel for the ease of use. The automatic climate control system also measures the quality of the cabin air through various sensors. Some provide a separate climate control ECM to control various sensors/actuators such as cabin air quality sensor and humidity sensor. The driver and front passenger can control the temperature separately for themselves. You can also precisely adjust the temperature levels, direction and intensity of the airflow through a touch-screen. The Climate Control system can also maintain the temperature depending on the sunlight and the quality of the intake air through key-coded settings. Manufacturers use custom acronyms to brand their automatic climate control systems in cars. For e.g. Mercedes-Benz uses the term THERMOTRONIC for the Automatic Climate Control systems fitted in its cars. Some manufacturers take the climate control to a new level. The driver and front passenger can independently set the temperatures of their choice for their respective areas. The rear passengers can also get better air quality with rear ventilation and re-circulation option. Mercedes-Benz provides a separate control unit with a display for the rear a/c. It also comprises of additional air outlets in the B-pillar, air vents in the center console and a booster blower for the purpose. This ensures that the ideal temperature is maintained at the rear. Some manufacturers also provide 'roof a/c' or blowers in the roof in some bigger models to achieve the desired effect. 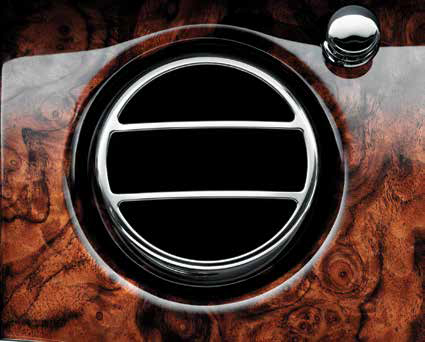 Some ultra-luxury cars offer the state-of-the-art 4-zone air-conditioning. It includes an additional rear cabin air-conditioning unit with controls at the front and rear for fan speed and temperature. 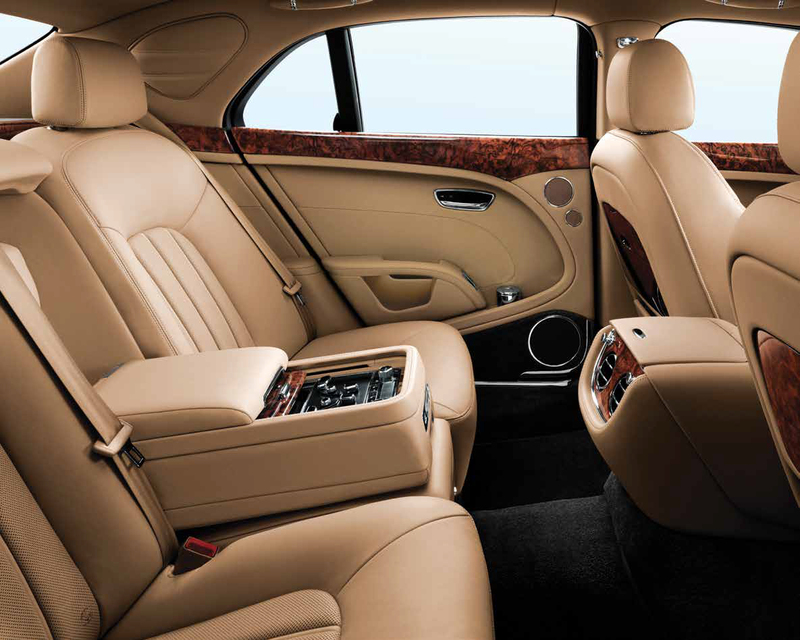 In some cars such as the Bentley Mulsanne, you can control the rear air conditioner by the folding rear center-armrest console. Furthermore, some manufacturers, nowadays, provide an air-conditioned or cooled glove-box as a convenience option. So, it is getting popular among the budget car buyers. It keeps the water bottles/beverage cans cool. 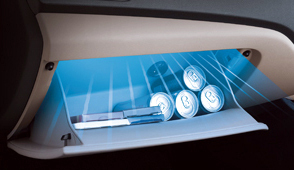 The cooled glove-box uses the cool air generated by the car’s air conditioner to cool the stuff put in it. So, you can keep water-bottles and the cans of aerated drinks to cool them. Always keep the front grill clear of any obstructions for the proper functioning of the air conditioner. Always keep the windows rolled up to maximize the efficiency of the A/c. Use the ‘Fresh-Air’ mode only when it is necessary. To improve fuel efficiency, use the air-conditioner only when it is necessary. Home » Technical Anatomy » What Is An Automatic Climate Control (Automatic A/C)? How Do Parking Sensors Work In A Car? Know More. What is Coupe Car ? What is Regenerative Braking In Cars & How Does It Work?